The visual pathologic features of tumors have always been the critical parameters in determining tumor type; however, over the last several decades molecular analysis of tumors has played an increasing role in the diagnostic pathology of tumors; thus, “molecular pathology” has gradually emerged as a discipline in pathology which exploits the use of nucleic acid based techniques. The purpose of this Handbook is to discuss the principles and the application of selected existing methods of molecular pathology and its use in the detection of early cancer. It will describe the molecular changes that characterize preinvasive neoplastic lesions, molecular targets for early detection, validation of molecular targets and areas of new diagnostic technology that show promise either for early detection of neoplasias or other medically important uses in cancer prevention and care. The book describes recent advances in proteomics, metabolomics, stem cells research, micro RNA and other posttranslational molecular modifications; all these will serve the pressing needs in the development of the practice of personalized medicine. 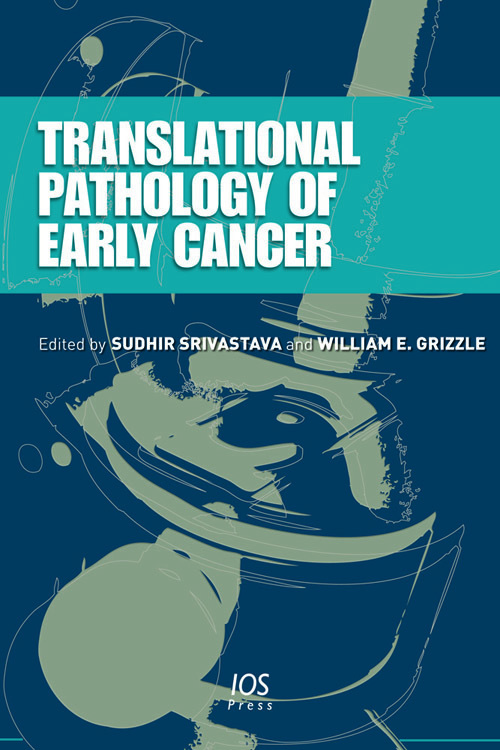 The book is divided into three sections that follow a sequence from basic mechanisms of tumor development, through the molecular and biological abnormalities found in common types of cancers, to the technologies which are most applicable to detecting these biologic alterations in precancerous lesions. Each chapter discusses the scientific underpinnings of the evolution and progression of tumors in order to enable clinicians and other professionals who manage cancer patients to better understand the disease at the molecular and genetic levels.